What are the benefits of a handmade staircase? 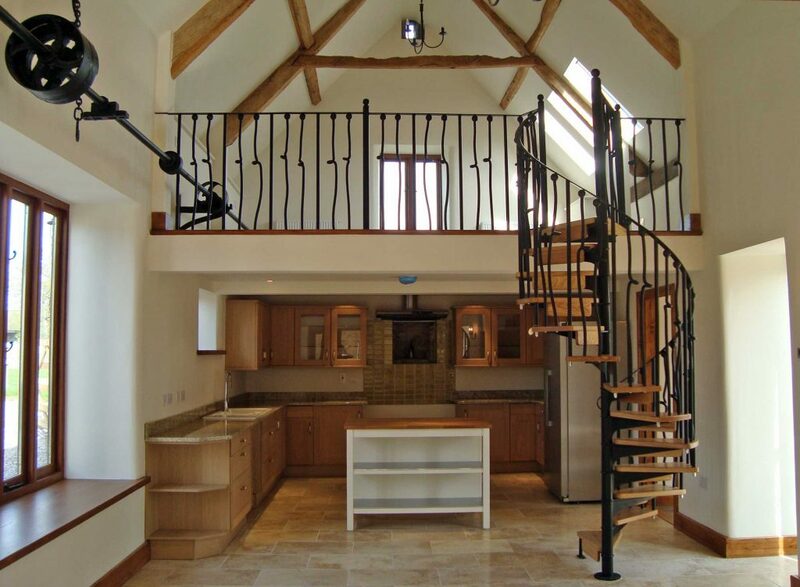 What are the benefits of a handmade spiral staircase? Summer has finally arrived and, having dusted off the barbeque and sun loungers, it’s now time to get started on that big project you’ve been thinking about all winter. Whether you’re building your dream home, adding an extension, or starting a renovation project, there’s a lot to consider and deciding on fixtures and fittings can be a bit overwhelming. Choosing a spiral staircase is no different, and the wide diversity of sizes and styles can make it challenging to pick the right one for you. Most people begin their staircase journey by browsing lifestyle magazines or checking out some Pinterest Boards, however, there’s nothing quite like seeing the pieces in the flesh. That’s why, whenever possible, we encourage our customers to come and visit our showroom in Chapel-en-le-Frith. Inside you’ll find a number of our staircases to touch and try out, giving you a much clearer idea of the different styles and how they could work for you. Indeed, visitors to our showroom often come to look at one style of staircase and leave preferring a different option! Should you need any help or guidance, our friendly staff are always on hand to discuss the options and to find the size and style which are ideal for you. The visit is also an opportunity to take a behind-the-scenes tour of our workshop. We are extremely proud to manufacture our staircases right here in the UK and during the walk around you will see first-hand the skill, craft and attention that goes into making each individual piece of our stairs and balconies. Once you’ve picked a design, we’ll get to work preparing CAD plans so you can see exactly how the final staircase will look in your home. This process helps to ensure all our customers are completely happy with their choice before we begin to make the designs a reality. evening or weekend appointment are also available by appointment.